The Department of Water Affairs and Sanitation briefed the Committee on its approach to economic transformation and its response to matters discussed in the State of the Nation Address. The 30% public procurement set as a target in the Department’s Annual Performance Plan was met. To improve the current situation the Department implemented new reforms to promote Qualifying Small Enterprises, Exempted Micro Enterprises, and black-owned enterprises through set asides and compulsory sub-contracts with black owned enterprises. There was an increased percentage of 30% women companies, youth and other targeted groups benefitting. The regulations will come into effect on 1 April 2017. The transformation unit will do oversight and regular evaluation to ensure that the Department adheres to the new reforms. The Women Empowerment Programme was launched on 14 October 2016 with 450 women in attendance, and 60 women will benefit through the Women in Water Mentorship Programme, Women Incubation Programme and Women’s network. It was noted that the Agricultural Research Council Umlindi Report of 13 January 2017 recorded that large parts of the country are still experiencing mild drought in the provinces and parts enumerated. Some recovery had been noted in veld conditions but not so much in dam levels and the recent mid-summer rains had still not really made a significant impact. Continuous and stricter enforcement of restrictions was needed to stretch the available water supplies. It would take many years for the system to stabilise to acceptable levels and dam levels were still lower than they were at this time in the previous year. In the 2015/16 financial year spent R1.5 billion to implement and complete 13 Bulk Infrastructure Projects which had serviced 78 447 households or 577 411 people, and created 3 540 jobs were created. These projects are in predominately rural municipalities prioritised by the Department. The Department planned to complete 14 more Bulk Infrastructure projects in the current financial year, from R3.4 billion allocated and this should serve to contribute to socio-economic development of the communities, job creation and SMME development. Mr Dhesigen Naidoo, Chief Executive Officer, Water Research Commission briefed the Committee on the ongoing and completed projects. The State of the Nation Address highlighted priority sectors of the economy such as tourism, mining, agriculture, but the reality was that these were water-intensive, although some decreases in use were noted. The War on Leaks programme was still seeing challenges, with about 37% of water unaccounted for and South Africa, at water use of 23.5 litres per person per day, being higher than the global average of 17.7 litres. People are being developed in the Water and Sanitation Centre, and the incubator and mentorship centre is doing well. Members commented that no mention had been made of climate change and the mitigation programmes. Members noted some areas where people had licences but no water, and other places with no water and no toilets. They commented on leaks and wastage. Thy asked for additional information on boreholes in all provinces and updates on the dates when projects should be completed. They asked about the selection of women for Women Empowerment Programmes, recruitment in the War on Leaks programme, and new method of recruitment needed and asked about stipends and arrangements with municipalities. They asked about arrangements with new catchment management agencies, and the time limits and 300 day targets, and when licences would be issued. They wanted to know if areas were classified as protected, how the other departments became involved, when the National Water Infrastructure-Agency is going to be established, and what solutions were immediately available. The Chairperson introduced Mr Dan Mashitisho, the newly appointed Director-General of the Department of Water and Sanitation. He noted that the Minister was to be invited to appear before the Committee and said that the Members would have to work on their engagement priorities prior to that date. Members commented about the negative reporting of the Department and that it does not reflect well on the Department. Mr Dan Mashitisho, Director General, Department of Water and Sanitation, said that the State of the Nation Address (SONA) had emphasised that more decisive steps ought to be taken to promote greater economic inclusion in pursuance to advance ownership and control authentic leadership of the economy by black people. This could be realised through the promotion of domestic companies, entrepreneurs and cooperatives, through local procurement by the state and its agencies. He described the Department's approach to economic transformation. The Department had implemented the 30% set-aside public procurement policy, which was a target in the Department’s Annual Performance Plan (APP). To improve the current situation, the Department implemented new reforms to promote Qualifying Small Enterprises (QSEs) and Exempted Micro Enterprises (EMEs), and black-owned enterprises through set asides and compulsory sub-contracting with black owned enterprises, including an increased percentage of 30% contracts with women companies, youth and other targeted groups. These regulations will come into effect on 1 April 2017.The transformation unit will do oversight and regular evaluation to ensure that the Department adheres to the new reforms. A Women Empowerment Programme was launched on 14 October 2016 with 450 women in attendance, and 60 women will benefit through the Women in Water Mentorship Programme, Women Incubation Programme and Women’s Network. Mr Mashitisho also spoke about challenges that the Department is experiencing with the War on Leaks Learner Recruitment Programme. The local municipalities do not want to take administrative responsibilities for the trainee placements. Also, the mentor and coordinator from the training centres do not stay involved with trainees once they are placed. The learners are sometimes not willing to move to identified work places because they hope that they will be better placed. Sometimes municipalities and communities only want locally recruited learners. Host companies are also concerned about learner pregnancies. The learners are sometimes also not prepared to travel outside their local municipality for job placement, and will only travel if transport is provided. Speaking to water licensing, he stressed that water use authorisations are critical because they protect the water resources, facilitate social and economic growth and development, and enable the Department to manage its international obligations in terms of sharing water resources. The National Water Amendment Act, No.27 of 2014, had aimed to cut the red tape hampering the mining sectors, by creating an integrated process for water use licenses to be dealt with within a set number of days. Various departments are involved in the issuing of licences and they all have different systems. The One Environmental System (OES) aligns the processes of authorisation for the three departments for mining use. It will ensure a well-coordinated, structured and synchronised processing of mining related authorisations. The OES provides for a 300 days’ time-frame as an outer limit for all mining authorisations from the three departments. The Department is currently recruiting 198 officials to be placed in the Proto Catchment Management Areas (CMAs), for the processing of water use licenses. Some have already started and the remainder will start working by 1 April 2017. 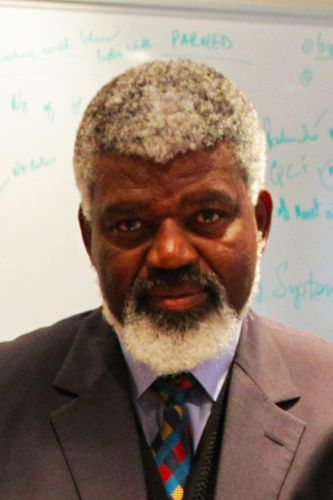 He then noted that in respect of drought relief and its implications for the agricultural sector, the Agricultural Research Council (ARC) Umlindi Report for 13 January 2017 stated that large parts of the country are still experiencing a mild drought, while small pockets of moderate, severe and extreme drought are still found elsewhere. There is a large area of severe to extreme drought in the southern part of the Eastern Cape, and severe drought in the western part of the Northern Cape, southern tip of the Western Cape, eastern part of Kwazulu-Natal (KZN), and eastern part of Mpumalanga. While seeing some recovery in veld conditions the country was not seeing the equivalent recovery in dam levels, as the recent mid-summer rains have still not really made a significant impact. Restrictions still had to be enforced, to stretch the available water supplies. The drought is far from over, as reflected by water supplies, and even with a normal season it will take a number of years for the system to stabilise to an acceptable level. The current dam levels are lower than they were around this time last year. In an effort to address the water challenges in the country, the Department, in the 2015/16 financial year, spent R1.5 billion to implement and complete 13 Bulk Infrastructure Projects. This resulted in services to 78 447 households or the equivalent of 577 411 people. During the implementation of these projects, 3 540 jobs were created. These projects are in predominately rural municipalities prioritised by the Department. The Department has planned to complete 14 Bulk Infrastructure projects in the current financial year from the allocated R3.4 billion, which will ensure further relief on water services challenges. The completion of these projects will ensure the improvement of the socio-economic development of the targeted communities, and ensure improved services, poverty alleviation through job creation and development of small micro to medium enterprises. In the current financial year 2016/17, over 1 248 jobs have already been created, resulting in the acquisition and transfer of new skills. He then updated the Committee on the Sanitation Programme. In order to realise the eradication of the Bucket Eradication Programme, a number of projects will require associated bulk infrastructure services, to enable the flushing of the newly constructed toilets. Up until now, some pump stations and outfall sewer lines will be required to convey effluent from the benefiting town or settlement to the Waste Water Treatment Works. In some towns, such as Ficksburg in the Free State, the construction of the outfall sewers will prevent further pollution into the river systems. The Department will further use alternative solutions to address the water supply challenges by recycling grey water (after household use) for flushing of toilets in four projects such as Lindley, Reitz and Petrus Steyn in the Nketoana Local Municipality, as well as Arlington and Senekal in the Setsoto Local Municipality. Mr Dhesigen Naidoo, Chief Executive Officer, Water Research Commission briefed the Committee on the ongoing and completed projects of the Water Research Commission (WRC). He touched on the central messages in the SONA 2017 speech, highlighting that the challenges of poverty, inequality and unemployment (PIU) are of paramount impact. The National Development Plan (NDP) and its supporting initiatives and mechanisms remains the guiding tool to address the PIU challenges on the back of an economic growth imperative. The SONA’s priority sectors are agriculture and agro-processing,energy, industrialisation, mining and beneficiation, tourism and the oceans economy. All these sectors are highly water intensive. However, there had been a decrease in water use in the agricultural sector, and water use in the mining sector was decreasing with time, so that the big increases were in the residential/municipal sectors. Mr Naidoo referred to a statement by the President in his SONA: ”22 years into our freedom and democracy, the majority of black people still are economically disempowered. They are dissatisfied with the economic gains and liberation”. He stated that the Lorenz curve, which is a graphical representation of the distribution of income or wealth, demonstrates this clearly. It demonstrates the differences between 1995 and 2010 years, which are worse than the generalised figures for the country as a whole. This is an important indicator as to where we are and what the effectiveness has been around interventions that we have to date as well as what we need to do going into the future. He noted the reference to the “Unaccounted for Water Challenge with the War on Leaks Programme”, explaining that this is the difference between what a person consumes and what can be accounted for in terms of your water bill. This unaccounted water is closer to 37%, which is not far above the global average. The world’s average use is 17.7 litres per person, per day, but in South Africa it is 23.5 litres per person per day. This is in an environment where we have developed the best water and sanitation technologies anywhere in the world. Mr Naidoo discussed the overall economic implications for the water economy. The President stated that a percentage of the R900 billion infrastructure spent and the portion of the R500 billion public goods and services spend, will be used to develop people in the Water and Sanitation Centre. The Women-in-Water Incubator and Mentorship programme is doing well. Job creation and capacity building is a priority, with examples ranging from Water Leaks to the Academies. The Chairperson noted that neither of the presenters mentioned climate change and the mitigation programmes. He is not aware of such programmes, which are intended to benefit the rural community. This is an opportunity for climate change to benefit the communities, especially with the drought the country is experiencing. Ms M Khawula (EFF) said since 1994 some people had never gained continuous access to water and some in rural areas go without it for months. In areas like North West people have to compete with animals over water. In Mandeni, people have water licences but do not actually have water, and there are places where people have no water and no toilets. In other places water is leaking into the ground and is being wasted. A member of the DA asked for clarity on slide 7 of the presentation, noting that this was merely a snapshot of Preferential Procurement. He asked for clarity on what the target was, how much of that had been spent, and how that compared to other quarters. He asked for clarity on recruitment statistics, and about the posts available and those filled. He asked if targets were based on needs, and if the work was helping to meet the needs, and he also asked for forward projections. He asked for clarity on the artisan category, because it includes some other categories also. He also asked why there was no borehole information for Western Cape and Gauteng. He asked if a project that was targeted for completion in February 2017 will be completed on time, so that this intervention can assist with drought alleviation. Mrs T Baker (DA) asked who carried out licensing inspections, how many inspectors there are per province, and where these inspectors were allocated. She wanted to know what a Proto CMA is and if it is already established. It was mentioned that 198 officials were being placed at Proto CMAs , which she questioned on the basis that some may not have been established. She noted that no mention was made of leak detection technology, since most of the water loss is underground. She asked if there was a direct correlation between high water losses and use per capita in the particular municipalities mentioned. Mr L Basson (DA) commented on a research study done by WRC, which was released on the 12 August 2012. Most of the water is lost before it reaches the consumers because of deteriorating water structures. This study was done in 2012, five years ago, so if the percentage of water loss is higher now, he wondered what the Department had done to develop infrastructure. In 2014 a report indicated that 70% of water losses occur in more than 100 municipalities in South Africa. The municipalities can make use of the R7 billion that was allocated to assist the municipalities to replace the old asbestos pipes. Finally, he asked how the 23.5 litres water per day per person was calculated, and whether the amount was inclusive or exclusive of the water losses. Ms N Bilankulu (ANC) wanted to know how the 60 women were selected for the Women Empowerment Programme, and if they were from all nine provinces. She asked how the learners for War on Leaks Learner Recruitment Programme will be recruited, pointing out that recruitment via an advert was not effective, and added that the stipend that the learners are being paid was too little. Mr D Mnguni (ANC) asked why municipalities were reluctant to take on interns and if there were any pre-communication arrangements with the municipalities when the people are selected. He wanted to know what steps could be taken with the Proto CMA when the 300 days lapses, or when they over-step. He also asked when the 300 days will start, saying that some people have already applied for these licences. If the starting date is after March, he asked when the licenses are going to be issued. He also asked if there were places that were classified by the provinces as protected areas. Lastly, he asked when will the National Water Infrastructure-Agencybe established as its been talked about for the past 17 years. Mr H Chauke (ANC) stated that a long-term solution needs to be in place for the problems the Department is facing. Although it is expected to pursue a long-term solution, he asked why the Department, in the meantime, cannot make use of private-sector institutions and technologists. Some municipalities have such plans already in place. He also wanted to know how many women and men are being trained in the learnership programme. Mr A Singh, Deputy Director General of Regulation and Compliance, Department of Water and Sanitation, stated that the Department would investigate the matter of the farm, as cited, which has no water but possesses a water licence. The 300 days’ time limit is legislated in the 2014 Amendment to the National Water Act. 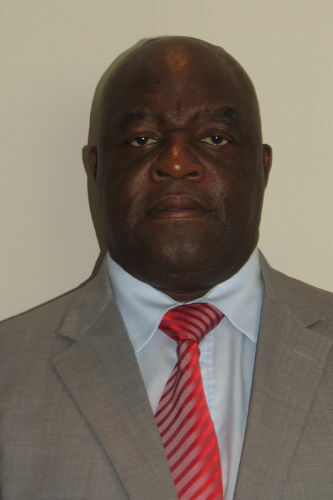 The other departments that deal with the authorisations for Mining are the Department of Mineral Resources (DMR) and Department of Environmental Affairs (DEA), and the 2014 amendments were aimed at aligning the licensing regime for mining. The applications should then be processed in a shorter time period and most of the applications are being processed in a shorter period than 300 days. He also stated that the licences have conditions before issue, and the officials at the Department and the compliance monitoring team in his unit deal with these inspections. The units go to the mines to check if the conditions are complied with. A team has been allocated to head office and also to the nine water management areas. Catchment management agencies are operating in the Western Cape and Komati Usotho, but the Proto CMA is within the Department. The 198 officials that were recruited would be divided in terms of the catchments to assist with the process of issuing licences faster. He noted again that the 300 days time limit is the outer time limit. If the Department does not complete the licensing within 300 days, it must have a good reason why it failed to do so. One factor that could delay the process is outstanding technical reports on mining operations. All the systems could be in place but problems might still occur because people manage these systems. The 300 days only start being calculated when there is a complete set of information and when the application is received with supporting documents. The biggest challenges the Department had related to it receiving incomplete applications. Once the official logs the application on to the system or gives it a number, nothing further can be done with it, and therefore DWS would assist the applicants to complete the information and then start calculating the 300 days. The Department of Environmental Affairs (DEA) issues mining authorisations in protected areas in the Wetlands, and this is a one line process as brought about by the One Environmental System (OES). Careful attention is paid before issuing a license in a protected area because once the resource is damaged it cannot be replaced. The licences have very strict conditions attached to them. The challenge for the country is the protection of the environment while also ensuring job creation. Where water resources are in decline, the licences will be issued with careful conditions. The Department is proceeding with the establishment of the agency and a service provider has been appointed. The agency will also get an expert team to assist with the technical detail of how the agency is going to work and the governance arrangements. One of the things currently happening in partnership with the Water Research Commission (WRC), Trans Caledonian Authority (TCA), and the Department is that they will be demonstrating six new technology options in the Western Basin over the next two to three years. The current proven technology is high energy intensive and very expensive. These six technologies have proved to be low energy solutions and more environmentally sustainable at potentially much lower cost. The WRC have been doing a range of work in climate change and this is currently a global focus of great intensity. The World Economic Forum’s global risk register that was issued in January 2017 has its top two items directly associated with climate change, and the global economic community regards this as a major issue to deal with in 2017. Many detection technologies exist and leaks can be detected but this will require investment. The technologies are very expensive but still so far affordable. Some business modules being examined are up-front capitalisation, and looking at tools that can bring in people who, at their own investment, can bring these technologies and organise themselves to get the benefit of efficiency gains in the system. One example that has won worldwide award is a place in Vereeniging, where a company put in a pressure-regulating system in the municipality that dealt with water losses. The water consumption went down by one-third. The company had the right kind of arrangements with the municipality and made a substantial profit out of it. These are the kind of modules the Department is starting to develop and it is currently working with some big international players on them because water loss is a global challenge. Pipes no longer have to be dug up to be replaced, because inner sheaths can be used, to block leaks. The municipalities needed to move into such technology. He noted that the 23.5 litres of water used per person per day includes the water that is being lost. The number of women in the Women Empowerment Programme has increased. There are currently 70 participants in the programme. Initially 40 women were catered for. There is country-wide distribution all nine provinces are represented. 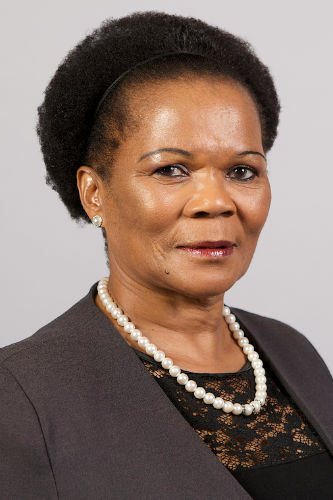 Ms Pam Tshwete, Deputy Minister of Water Affairs and Sanitation, said she would ensure that the information of the number of females per category in the War on Leaks Programme is made available to the Committee. She noted that the stipend allocated for this programme cannot be increased because the budget does not allow for that. The Department does not want the learners to receive this stipend on a permanent basis because at the end of the day these learners must be placed in full-time positions. Currently they are being trained and eventually they will receive a certificate. They will then be placed in one of the municipalities or in the private sector. This is a joint initiative of Rand Water, the Department of Water and Sanitation, Office of the Premier and the Provincial Government. Each province has a task team that checks where these students are coming from. The Department’s intention is not to take students from outside their municipalities, because they cannot afford to pay accommodation for them. They are being trained in their municipalities with the aim of eventually assisting their own communities or municipalities. The problem the Department faces currently is that South African universities are not producing hydraulic engineers, therefore the Department itself has been forced to initiate this programme. Water is being lost because of ageing infrastructure. Pipes are being replaced but it’s not easy because the Department does not have enough money to replace all the pipes at once. Replacing of the pipes is done step by step because the money is received piecemeal. The Chairperson said he wanted to hear about reports that were more of an academic nature, that presumably would include research. South Africa has a surplus of technology available, as noted by the example provided, and he would like to hear what was stopping the other municipalities. The Committee was interested not in hearing theory, but examples of actual work being carried out.